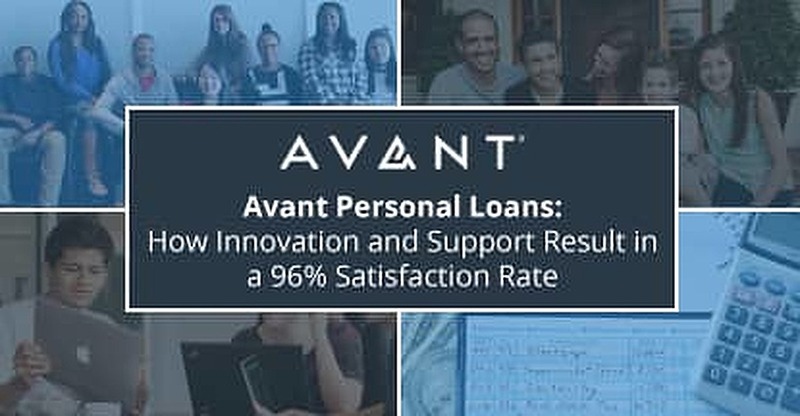 In a Nutshell: A personal lender with heart, Avant provides financing for people with an average credit score ranging from 600-700. The team reassesses your creditworthiness using factors beyond just a credit score, so even those who’ve been rejected for a loan in the past can get financing. Rather than discounting people with low credit, this lender offers a second chance via small loans of $1,000 to $35,000. Transparent services, high customer satisfaction, and absolutely no hidden fees make this online lending platform a cut above the rest. When you don’t have the means to purchase what you need, life is full of hard choices. A low bank account or a bad credit score can inhibit big financial decisions like buying a car or getting a higher education. Many pathways to a better life seem completely unattainable if you don’t have the money it takes to get there. Your ambitions don’t have to be stunted by your finances. Whether you have a shaky credit history or a habit of overextending your bank account, all you need is someone to give you a chance to improve. Avant is in business to do just that. In December 2012, founders Al Goldstein, John Sun, and Paul Zhang decided to make a positive impact on the lending industry. They believed that an open and supportive online lending platform could be a valuable resource for anyone in need of financing. With $1 million in seed money, this lender was eager to help. Its fresh outlook and avant-garde approach caught people’s attention. Based out of Chicago, Avant has now served over 450,000 customers in three countries, issuing millions of dollars in loans. In a few short years, Avant has grown from a small team of 28 to over 900 employees today. Avant’s team of customer specialists are available to answer your questions via phone, email, or online chat. Carolyn Blackman, Head of Press Relations, took time out of her day to tell us about what makes this lender stand out in the lending industry. Though its portfolio is always expanding, what Avant excels at and what it was built for is issuing personal loans. This lender provides loans ranging between $1,000 to $35,000 for borrowers in all kinds of financial situations. The length of the loan can be anywhere from two to five years, depending on the amount issued. Using advanced technology, this team reassesses a person’s creditworthiness by looking at their credit score and income. Through this system, someone with bad credit won’t be automatically rejected. Instead, they’ll be given the opportunity to better their finances and their credit history. Because this lender reports to the three major credit bureaus, a customer can soon build up credit with timely payments. An understanding personal lender, Avant accepts borrowers with an average credit score of 600 to 700. These people make up about half of the overall clientele, Carolyn tells us, and are the bread and butter of the company’s customer base. Avant’s unsecured loans are a straightforward means to stable finances with no strings attached. Filling out an application is a quick and painless online process. You simply enter in your name, address, birthdate, income, contact information, and Social Security number. Then, with a click of your mouse, you’ll get an affordable rate to fit your budget. Avant has many invaluable features such as late-fee forgiveness, due-date adjustments, simple interest rates, and fast approval to make borrowing easy. You can even manage your account via mobile device using the mobile app. “It’s just a nice, transparent, clean product,” the Head of Press Relations says. Once signed up, customers can expect no origination fees and no prepayment penalties. This lender doesn’t have tricky fine print. Live customer support is attentive to customers every step of the way. There’s no shortage of help supplied by his team. Someone mans the phones seven days a week, and a Frequently Asked Questions page also provides answers to common queries like “How fast will my loan be funded?” (Answer: It depends on your bank). It’s no wonder that a recent internal survey showed that 96% of customers said they felt satisfied with Avant. This lender makes itself easily available to everyone, always ready with affordable rates, friendly advice, and hassle-free service. On top of boasting excellent services for its customers, Avant has a great work environment for its employees. In the office’s open floor plan, working together is easy as well as encouraged. Carolyn raves about the collaborative spirit that energizes this large but tight-knit team. These offices foster a generally relaxed atmosphere that inspires greater innovation, creativity, and collaboration. Additionally, employees enjoy perks like schedule flexibility and the option to work remotely. The Avant team pools together different skillsets to better serve customers. This industrious startup has built its business by focusing on solutions instead of problems. The company culture is positively geared toward helping customers improve how they finance their lives. 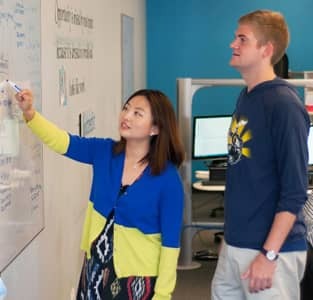 With analytics and enthusiasm, these Chicagoans seek to revolutionize the online lending industry by lowering the cost and hassle of borrowing. With loans that are well within your reach, Avant empowers its customers to dream better for themselves. Ever evolving and improving, the company as a whole is never afraid to bring its diverse talents together to try something new. Its commitment to every customer spurs the company to continually come up with better and better solutions to all types of lending needs. If you’re looking for a personal loan, Avant offers reasonable rates and simple terms, taking more than just your credit score into account when deciding to finance you. This lender assists thousands of people who want to make a large purchase, consolidate debt, or increase their spending power. The plans are flexible, the rates are affordable, and the customers are satisfied. At the end of the day, Avant’s personal loans provide customers a stepping stone to a better financial future.